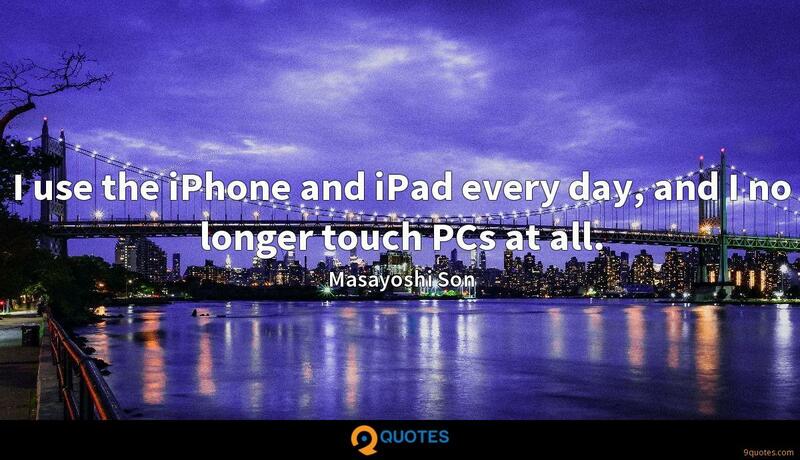 I use the iPhone and iPad every day, and I no longer touch PCs at all. I don't like accidental success. 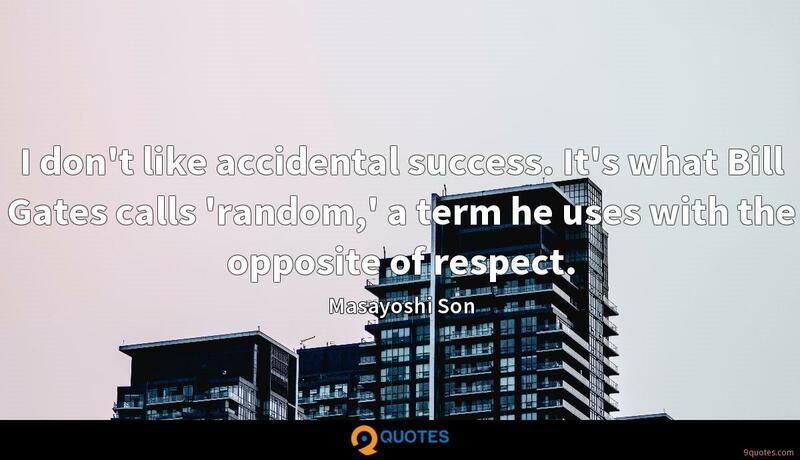 It's what Bill Gates calls 'random,' a term he uses with the opposite of respect. A person's life is over in 50, 100 years. But a company lives on through the people it is composed of, and SoftBank group has to survive even after I'm gone. Being educated in the United States gave me a good understanding of American culture. I think I got a lot of influence from the entrepreneurial mind in the United States. All human beings are the same. In the United States, people come from all over the world, all races, all backgrounds. And they're all doing what they want, many scoring huge successes. When I saw that, I became more open. It freed my soul. People usually compare the computer to the head of the human being. I would say that hardware is the bone of the head, the skull. The semiconductor is the brain within the head. The software is the wisdom. And data is the knowledge. I started Softbank in 1981, a year and a half after I came back from the United States, after graduating from Berkeley. I wanted to start my own company when I came back to Japan. As a student, I had a hobby of inventing new ideas for products. 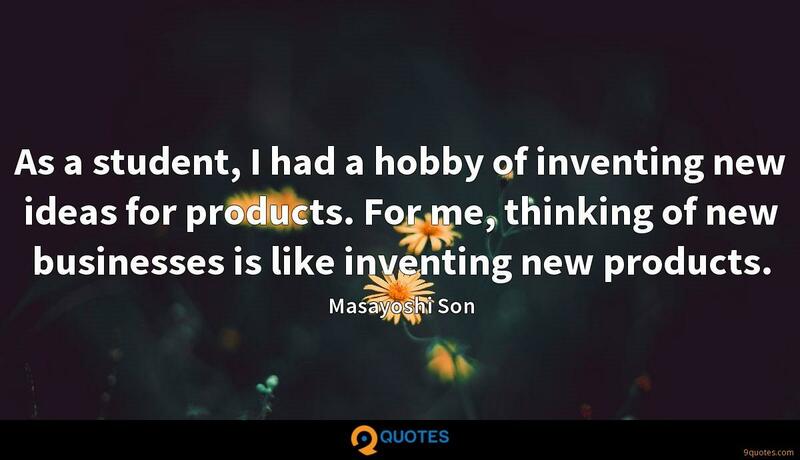 For me, thinking of new businesses is like inventing new products. 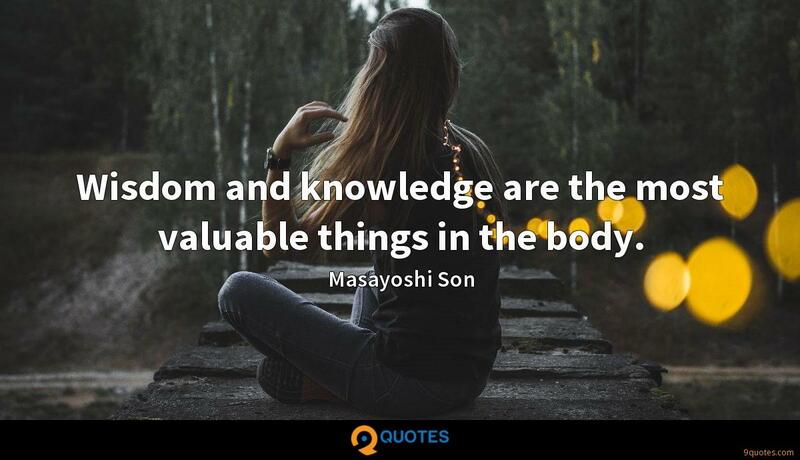 Wisdom and knowledge are the most valuable things in the body. Just believe in the future and direction of the capability that ARM has. Go deep and build a better future, both for the company and for its contribution to the industry. That's what I want ARM to do: invest more the future. 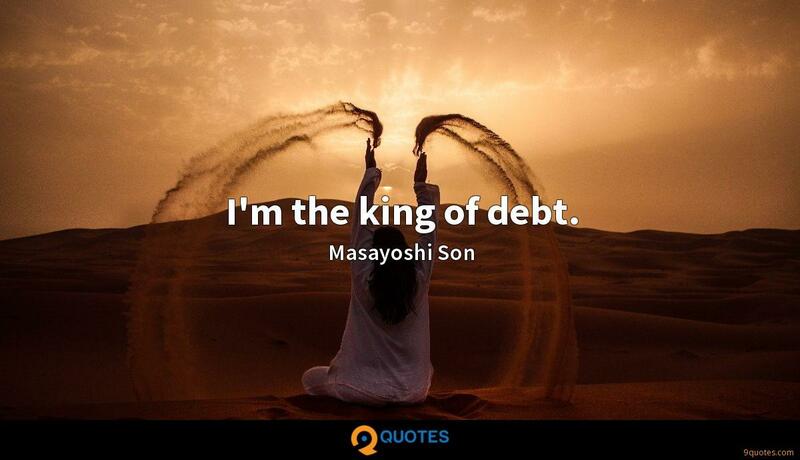 I'm the king of debt. 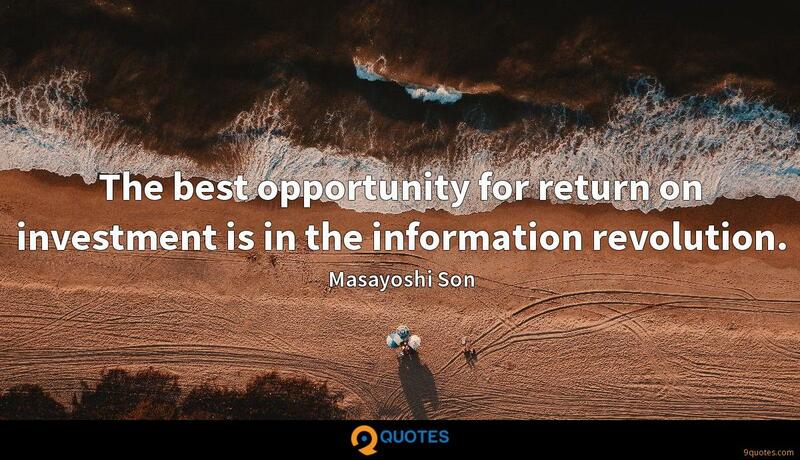 The best opportunity for return on investment is in the information revolution. My original intent for investing into Sprint - the main strategy was to buy Sprint and T-Mobile at the same time, so we'd have a critical mass to fight against AT&T and Verizon. The U.S. government didn't accept that. They rejected it. So my fundamental strategy was broken. 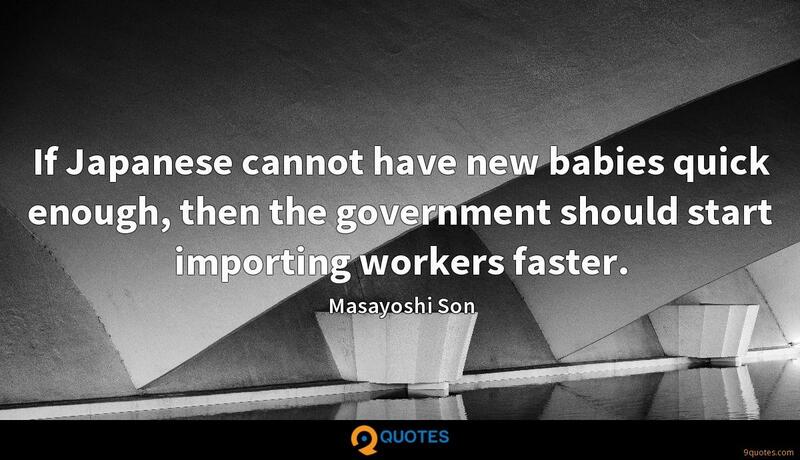 If Japanese cannot have new babies quick enough, then the government should start importing workers faster. The energy in Silicon Valley is because of the very talented engineers immigrating from around the world, especially Indians and Chinese. They are the best engineers, and Japan doesn't have enough of them. 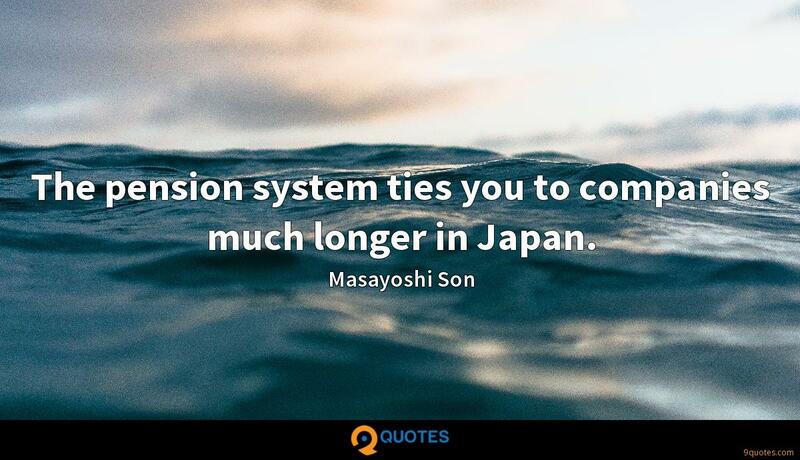 The pension system ties you to companies much longer in Japan. Traditional companies have to start looking into themselves to offer more opportunities in their companies by starting new subsidiaries and joint ventures. I think I became an entrepreneur because I have my way of doing business... to do that, you have to have your own company. But if you have your own company, you're an outsider in the Japanese business world. It's difficult. But that's life. I believe the continually advancing Information Revolution will lend us the wisdom and strength to address humanity's previously unsolvable problems and help us make a positive impact on all of society. 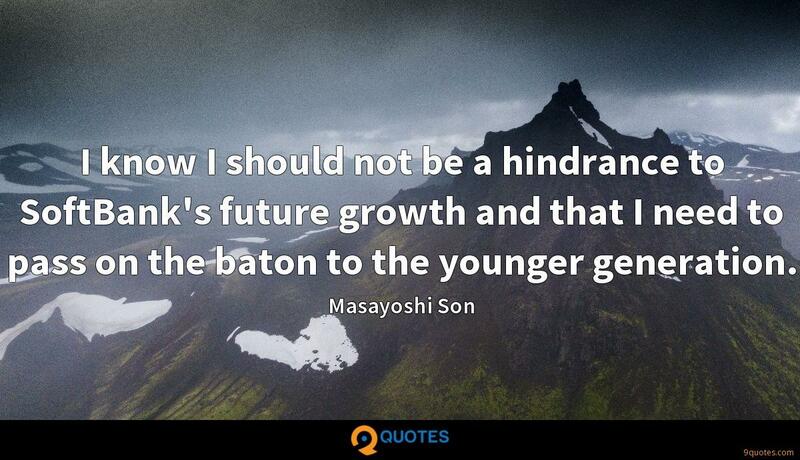 I know I should not be a hindrance to SoftBank's future growth and that I need to pass on the baton to the younger generation. 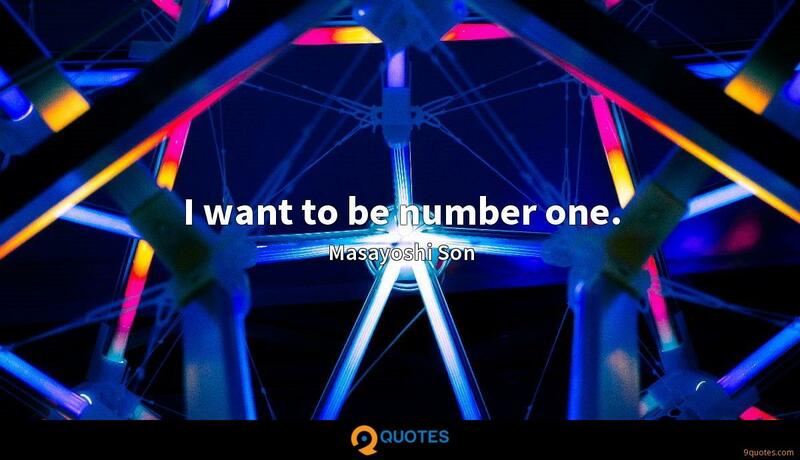 I want to be number one. 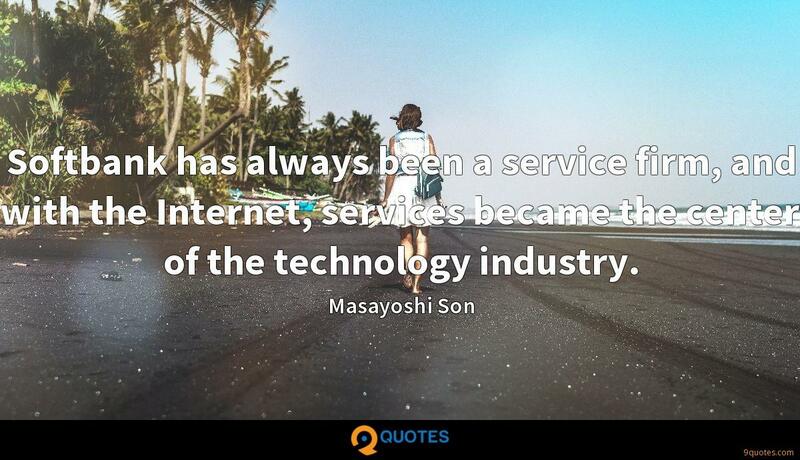 Softbank has always been a service firm, and with the Internet, services became the center of the technology industry. My philosophy is that the digital revolution will make mankind happier and more productive, and that won't change over the next 300 years. If you don't stick to that original philosophy, even perfect control of a bunch of companies isn't going to do you any good. 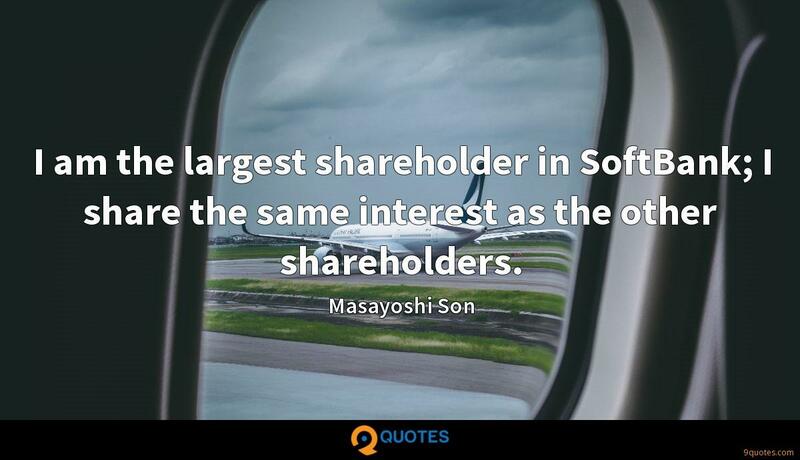 I am the largest shareholder in SoftBank; I share the same interest as the other shareholders. 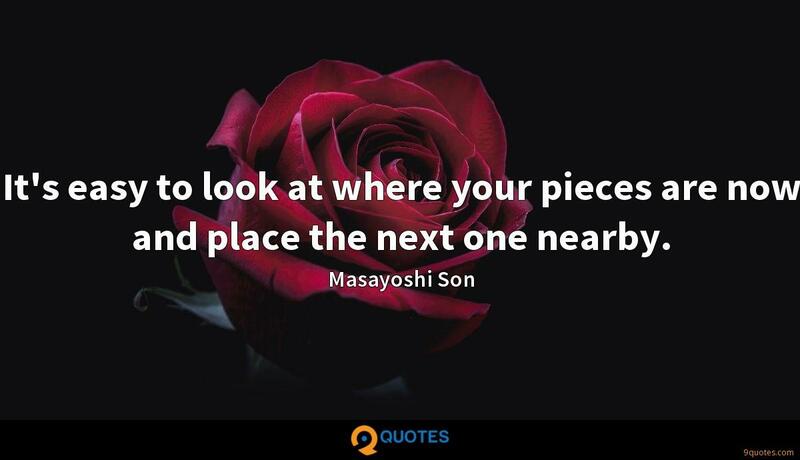 It's easy to look at where your pieces are now and place the next one nearby. 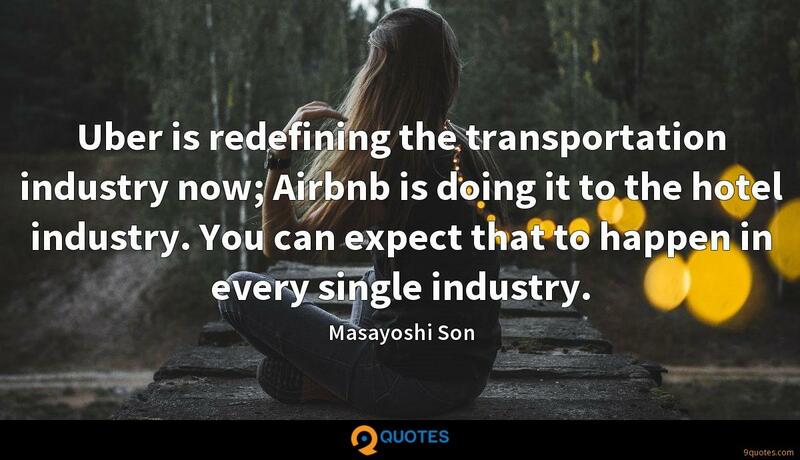 Uber is redefining the transportation industry now; Airbnb is doing it to the hotel industry. You can expect that to happen in every single industry. We saw a big bang in PCs; we saw a big bang in the Internet. I believe the next big bang is going to be even bigger. 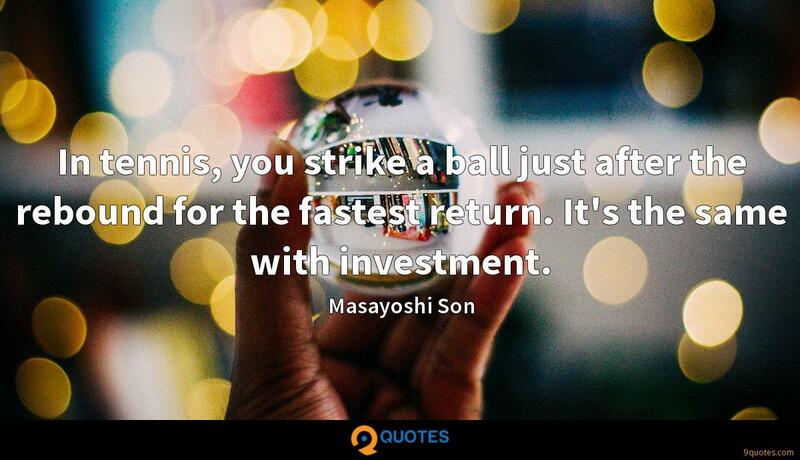 To be ready for that, we need to set the foundation, and that foundation is SoftBank Vision Fund.